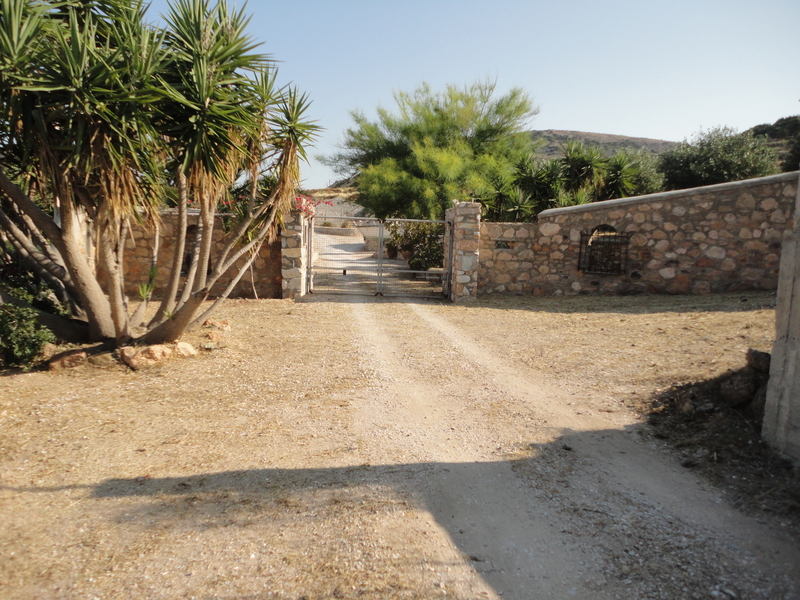 A farm of 12.5 acres in the mainland of the island with significant infrastructure, suitable for permanent residence of high standards or for agrotourism. 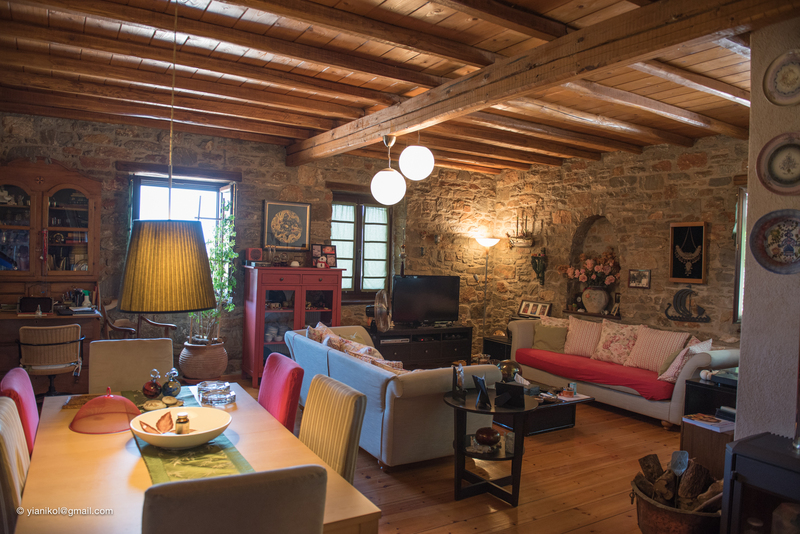 The estate is all enclosed with stone walls and wire mesh, stone built terraces, and inner streets. 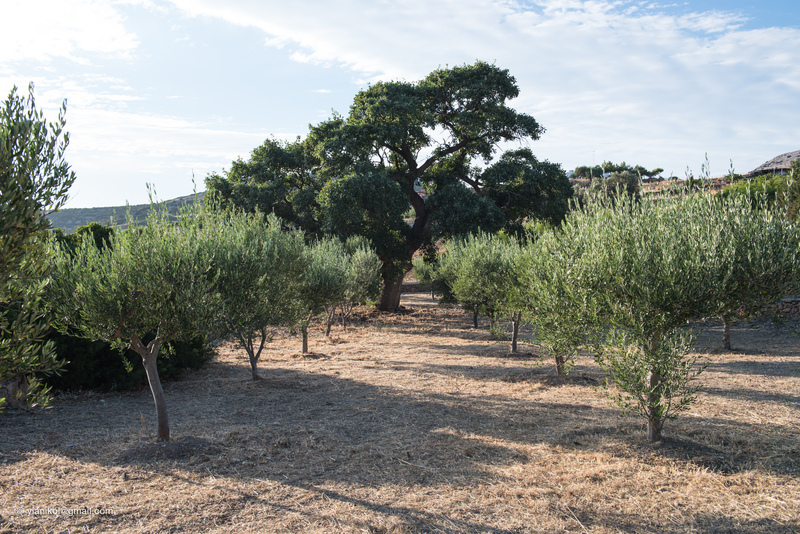 Fruit trees, vineyards, olives, and wild trees and shrubs cover the area as a whole. The buildings consist of the following completed constructions: ground floor 130m2, ground floor office / first floor of 35m2, garage with ground floor storeroom / first floor of 67m2. Total integrated buildings 230 m2. 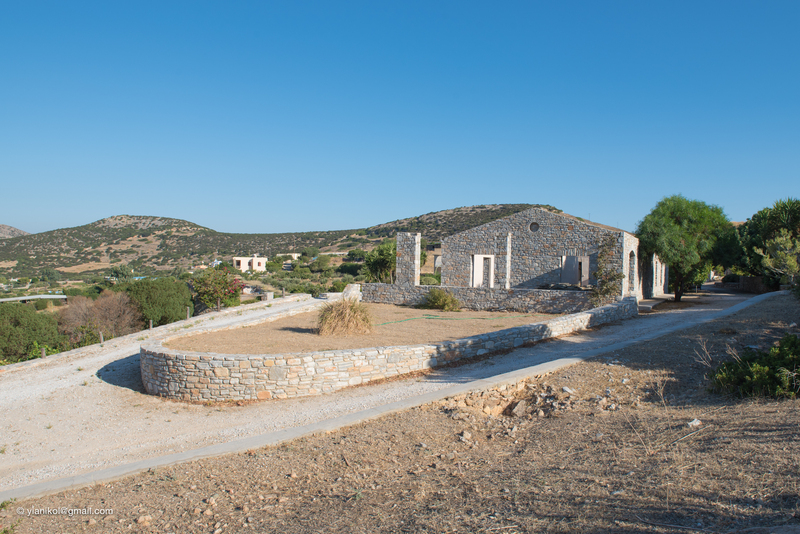 In an incomplete state is the main residence of 155 m2, in which only the stone peripheral walls have been erected and remains obscure. The construction of the roof is programmed by the owner and will be completed during the summer. The auxiliary areas include additional storage rooms, boiler room, pump room, sheltered / fenced chaise, sheltered / fenced box, large auxiliary generator room, small collection and water separation tank, large water storage tank (400 m3), barbeque, wood stove. The total area of ​​these auxiliary spaces is about 100 m2. Total of main and auxiliary spaces is about 490 m2. 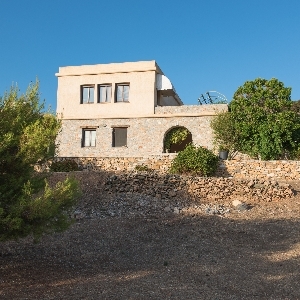 The distance from the city center is 6km, from the airport 4km and from Galissas beach 3km.